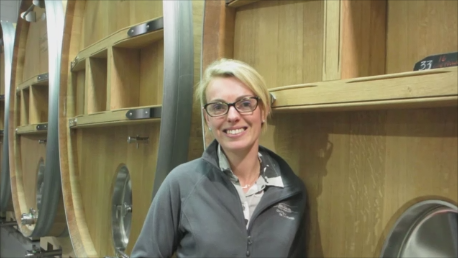 Like many winemakers, Château des Charmes’ Amélie Boury attributes a love for the outdoors and growing up on a farm as a reason she’s at home in the vineyard. 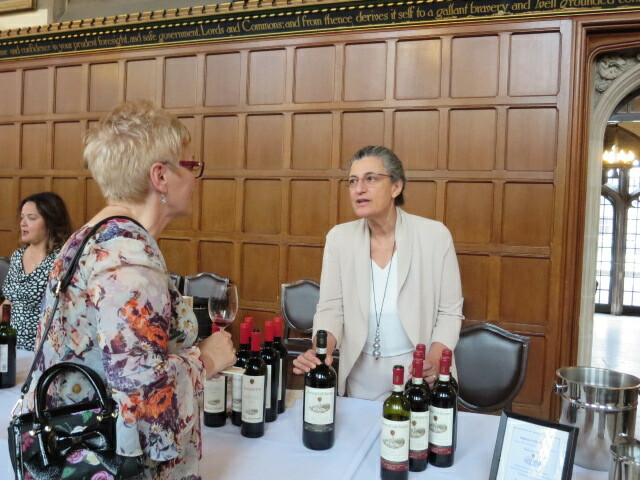 But, she attributes her interest in winemaking to a creative game her mother played with her growing up. The “Nose Game”, as she referred to it, was “a simple game”: her mom told her to go outside and smell things and then come back and describe them to her. She loved the game so much, as a young girl growing up in France, she initially thought about a career was in the perfume industry. 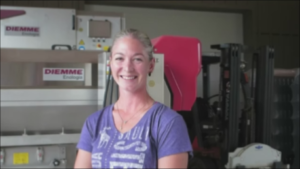 Somewhere along the line, however, she focused her nosing talents on winemaking, and she hasn’t looked back since. Amélie was gracious enough to show me around the cellar at Chateau des Charmes and to talk about winemaking – the unglamorous parts and the joy of seeing people enjoy the wine she’s made. Here’s a video of our chat. I love Prince Edward County and always look for reasons to visit. This week I had a sad reason – the funeral of a friend’s mother. 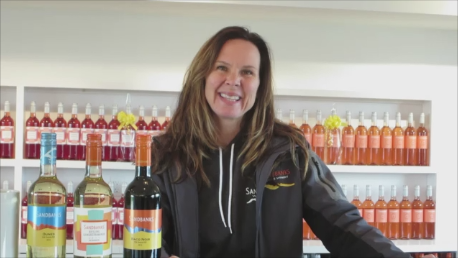 Because it was a planned trip on a weekday, I decided to see if Catherine Langlois – the winemaker/owner of Sandbanks Estate Winery might be in that day. I dropped the winery an e-mail to ask about meeting Catherine. They got back to me right away and we set it up a meeting. I love meeting winemakers and have found it especially interesting chatting with women winemakers. Catherine was kind enough to take time from her busy schedule to meet with me and she let me film a short video with her. Click here to watch the video. As I mentioned to Catherine when we were done shooting the video, I think Sandbanks is an incredibly inviting place. I’ve often thought about why that is. 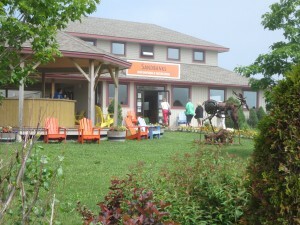 I think lots has to do with the colour scheme and the welcoming lawn full of colourful Muskoka chairs. 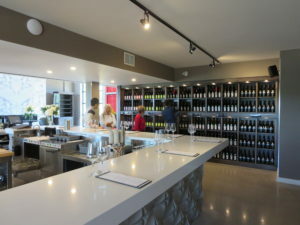 From the very first time a friend and I were tooling down the Loyalist Parkway headed toward Picton, as we came upon the winery, we were drawn like a magnet to stop in. 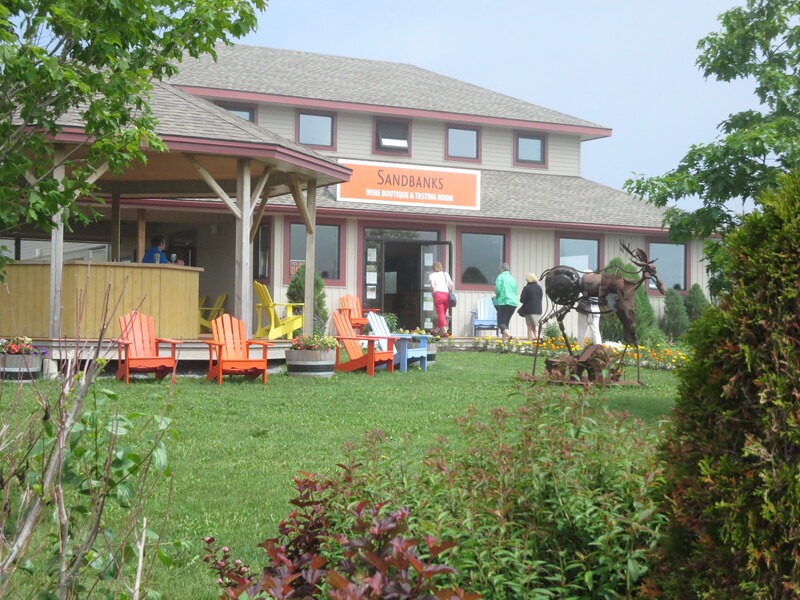 I imagine that’s how lots of people “discover” Sandbanks Estate Winery. 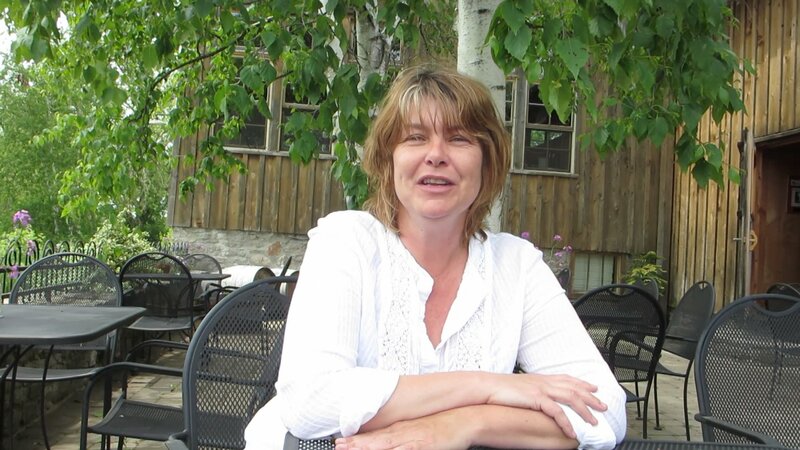 After meeting Catherine, I now realize that the winery’s ambiance is nothing less than a manifestation of Catherine’s friendliness, enthusiasm, and warmth. 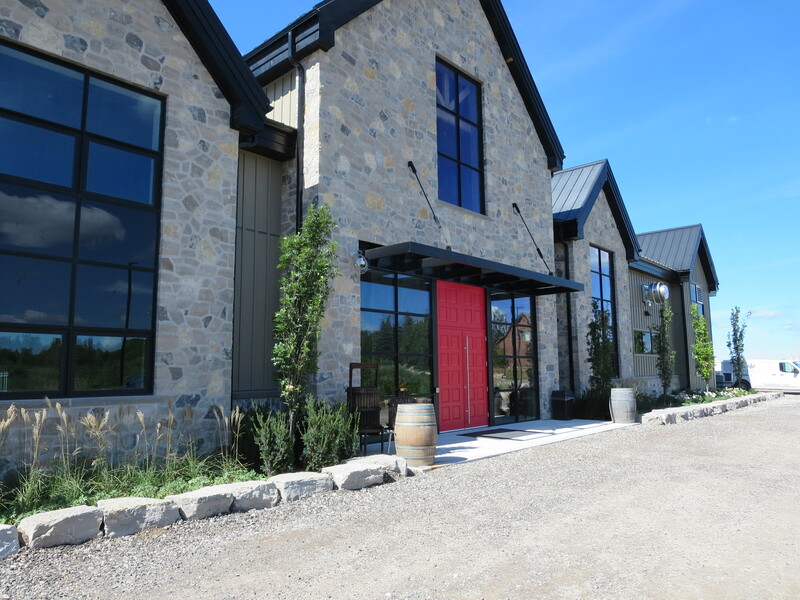 Over the past 18 months, I had heard rumours about a new winery in Mono – a “non-traditional” area for a winery. 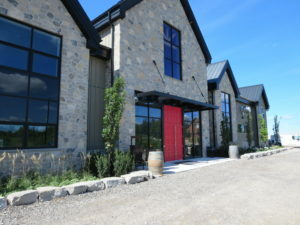 Among the news tidbits about the winery, I remembered reading that Jonas Newman of Hinterland Winery in Prince Edward County was somehow involved. Earlier this summer I found out it’s called Adamo Estate Winery and so I contacted them to see if they were open to the public. They said they’d be opening in September. So, last Friday was a beautiful day for a drive in the country and a friend was game to head to Mono. Before we left, I phoned the number on the winery’s website to find out if they were open. 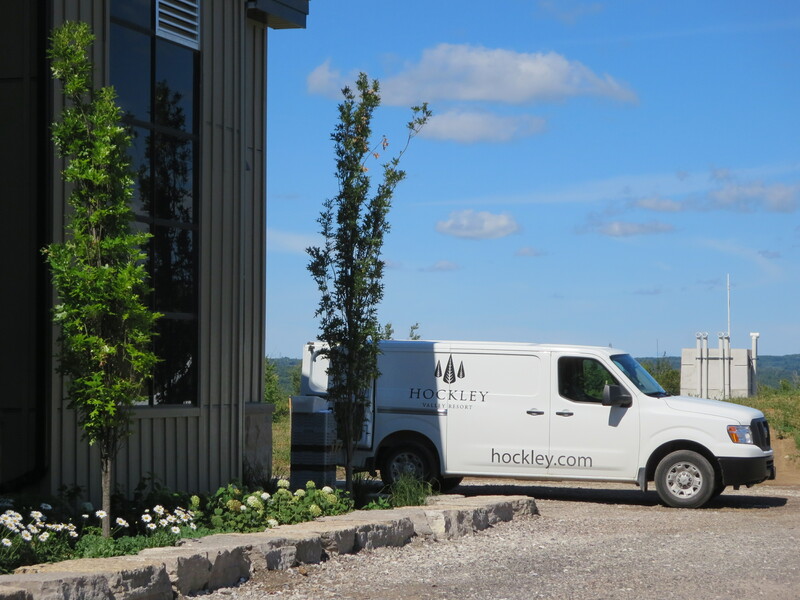 I was surprised when they answered as “Hockley Valley Resort”. That was unexpected – I had no idea there was a connection between Hockley Valley Resort (a ski/golf destination) and the winery. Mono is about an hour north of Toronto, near Orangeville, and we were there in about an hour. The winery is on 3rd Line, just up the road from the resort. 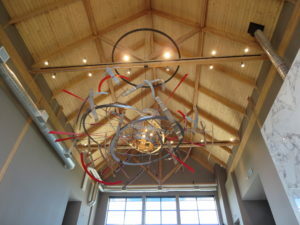 I was quite surprised by the huge, attractive structure that houses the winery. Because it’s so new, I was expecting something more on a start-up scale. 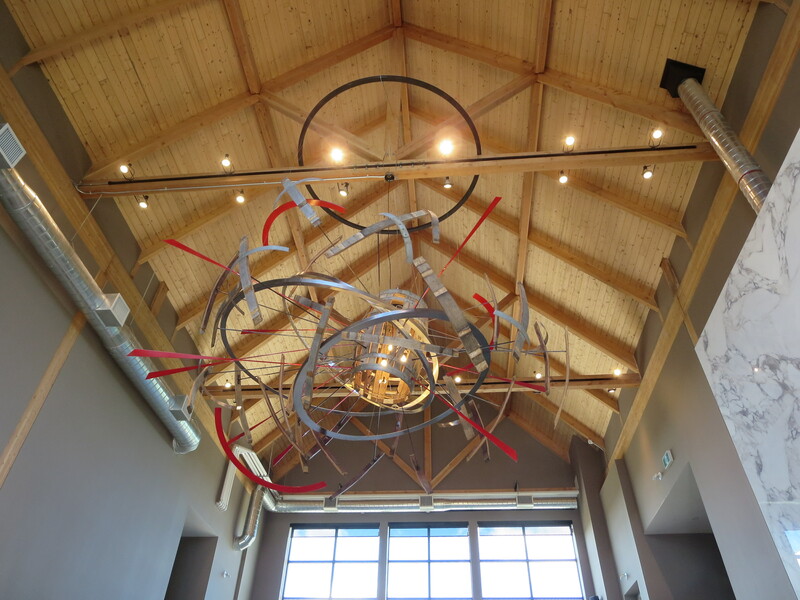 We headed through the welcoming red doors and were wowed by the gorgeous high-ceilinged tasting room and bar area. We were immediately welcomed by JP Adamo, one of the owners of the winery. I had hoped to meet their winemaker, Shauna White, but she was not at the winery that day – she was down in Niagara overlooking the harvest of some grapes that they get from other vineyards. 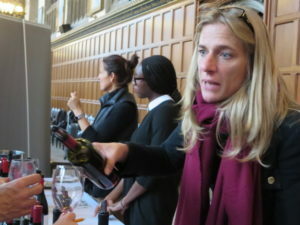 They plan on producing small batches of estate wines, which means consumers have the opportunity to judge for themselves the impact of the different terroir. 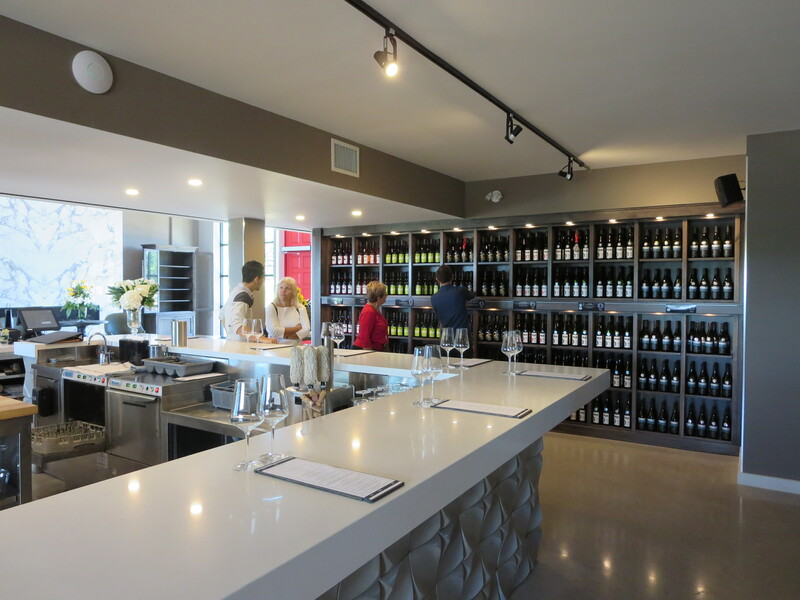 Though it’s always tempting to taste a variety of different wines – especially at a winery you’ve never been to – we opted for a Chardonnay flight and a tasting of two Pinot Noirs. 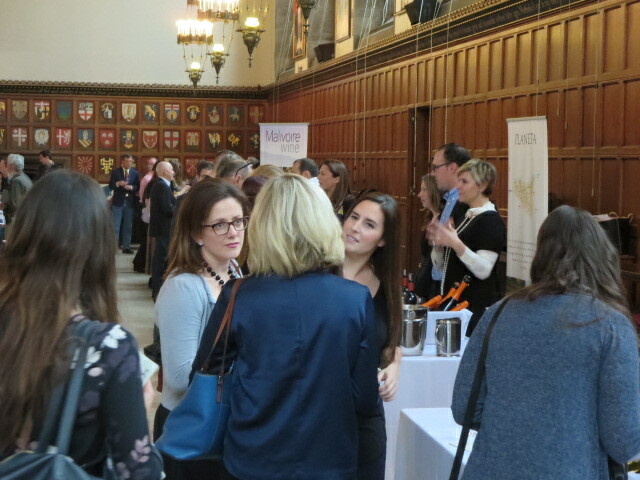 All the wines were very good. Of the Chardonnay, I especially liked the 2011 Sogno (which apparently means dream in Italian) un-oaked Chardonnay. Both 2014 Pinots were quite nice, though we both had a mild preference for the Lowrey (from the St. David’s Bench area of Niagara-on-the-Lake) over the Parke (from the 20 Mile Bench area). Indeed, if you’ve ever had any of the Wes Lowrey’s Five Rows Craft Wines, the similarities are amazing. 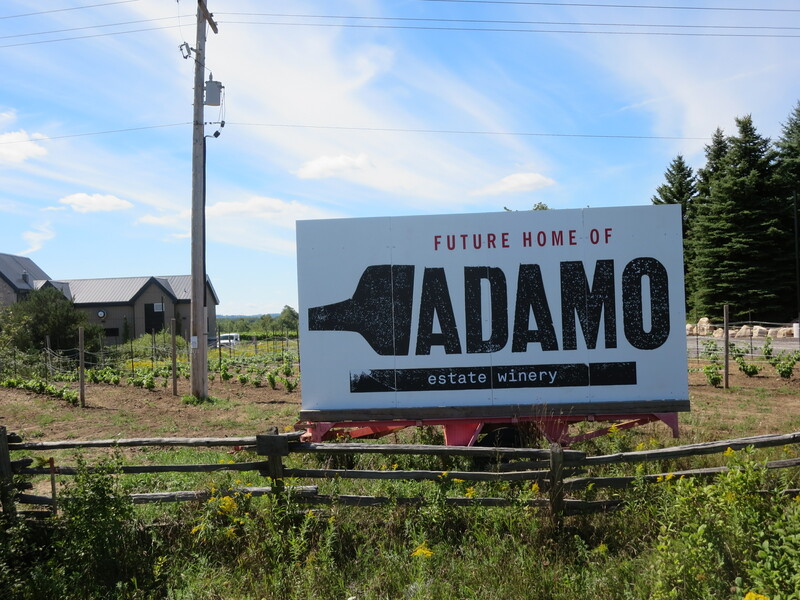 Adamo Estate Winery is a terrific addition to the Ontario wine scene. If you’re the type who likes to drive through rolling hills – maybe to take in the fall colours – it’s a great destination. It’s off to a spectacular start and it’s definitely a place to enjoy now – and likely long into the future. JP Adamo was kind enough to let us shoot a short video of him describing the winery. You can find the video here. On a recent visit to Southbrook Vineyards I asked Ann Sperling, Director, Winemaking and Viticulture, about how the harsh winter of 2014 impacted Southbrook’s spring pruning. 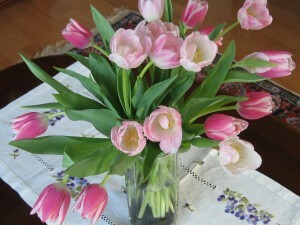 She explained that, in general, they pruned pretty heavily. Their theory is that they wanted to ensure that the vines had as much energy as possible, so that they’d be healthy in years to come. That said, they also experimented a bit. They did pruning trials where they pruned the same variety in different ways to see if different pruning methods have an impact on the vines next year and years to come. In the example she showed us, on one row they left one cane and a couple of spurs. In the next row (of the same variety), the pruned leaving only spurs. 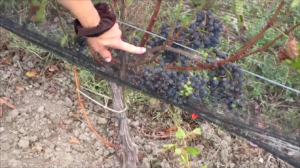 They’ll be taking notes regarding yield and other things and comparing the results of the differently pruned vines – making the vineyard – well, a living lab. Here’s a video of Ann explaining two of the techniques used on one variety and the different result at this point – September 2014. 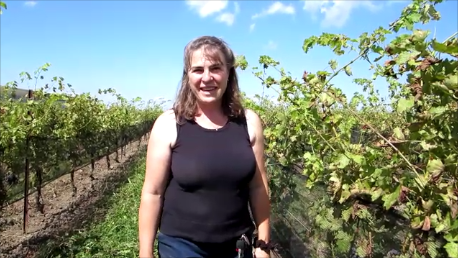 This week I was out at Southbrook Vineyards in Niagara-on-the-Lake and Ann Sperling, Director, Winemaking and Viticulture, was kind enough to show me around the vineyard. 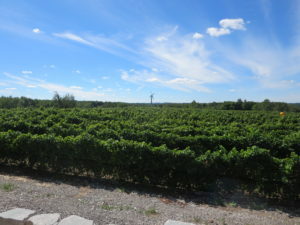 Seems the harvest in the Niagara region is going to be late this year (by about three weeks) because of the slow start after the harsh winter and the very wet spring and early summer. Fortunately, though some of us city folk have been complaining about the heat this past week, the growers are thankful for it, as it’s good for the grapes. Walking through the vines, it was surprising how many of the individual clusters had grapes that were green and grapes that were a deep purple. 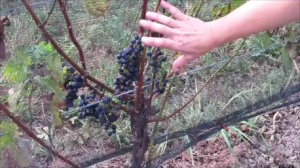 I asked Ann about this and she explained that the reason for the different stages of ripeness on the same vine is because the primary, secondary, and tertiary buds broke in stages over a period that was longer than usual. The result is grapes in different stages of ripening. She said it’s not unusual to have some green grapes among the ripe clusters and that’s why they go through the vineyard and do a “Green Harvest”. This involves trimming out the green grapes from the other ripe grapes. 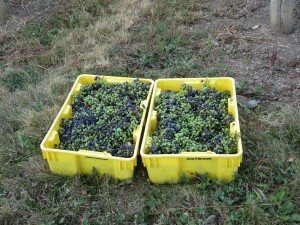 Normally, when they Green Harvest they just take off the less ripe bunches and drop them. 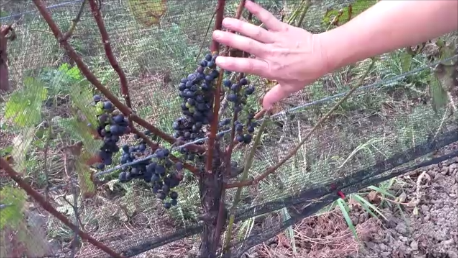 This year, however, because there’s a fair bit of green among the riper grapes, Southbrook is going to harvest the grapes from the Green Harvest. 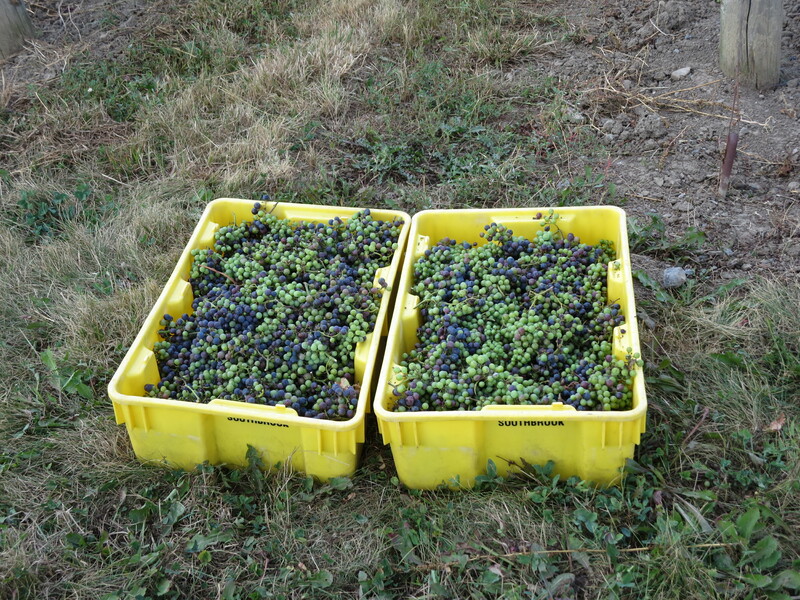 And, in the spirit of waste not, want not – this year Southbrook will be using them to make verjus. Here is a short video of Ann Sperling explaining the Green Harvest. I’ve updated the app (watch for notification from the App Store for the update) and I’ve included a new category: Women Winemakers. This is the photo for the app category. I’ve been considering adding this as a category for some time, but a friend of mine thinks it’s sexist of me to do so…. 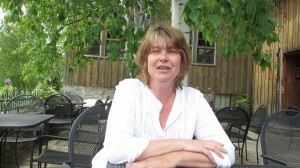 After much thought, I decided to add it – my rationale for doing so is simple: to give a shout out to woman winemakers. 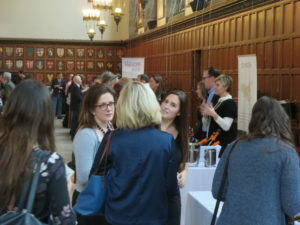 Women are involved in all areas of the wine business but they often fly below the radar – so I thought it would be nice to celebrate them a bit. Tanya Mitchell of Sprucewood Shores. Click on the names above for a link to the videos.